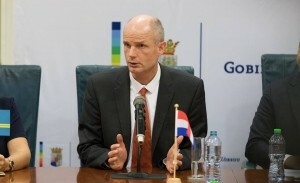 WILLEMSTAD - Kingdom Minister of Foreign Affairs Stef Blok wants the European Union to be more active in the 'Venezuela case'. The minister has argued for this during a meeting with his EU colleagues. Today he will report in writing to the Second Chamber of the Dutch Parliament of the informal Foreign Affairs Council held in Vienna on August 30 and 31. According to Blok, several ministers, including the Dutch, called attention to the situation in Venezuela and the (possible) consequences for the countries (including the Kingdom parts) in the region. They asked for a larger European effort in both the humanitarian and political fields," the minister writes, noting how the other member states reacted.